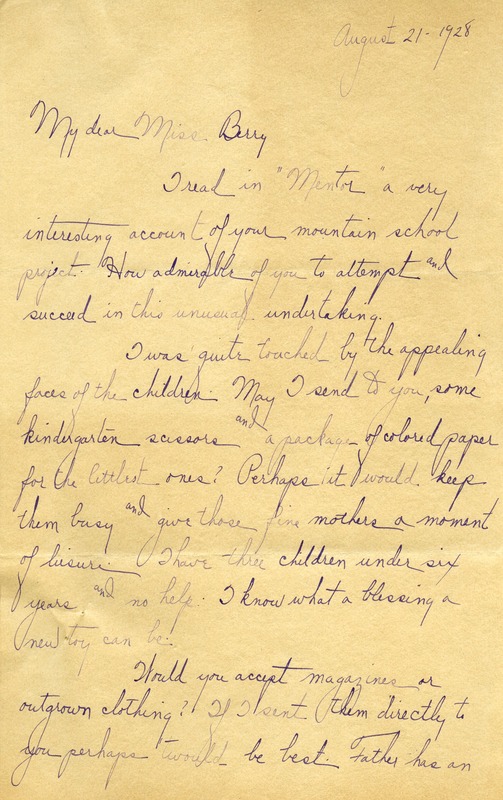 Gillcrest writes in admiration of Berry's "mountain school project" and offers donations of children's scissors and colored paper, as well as men's clothing. 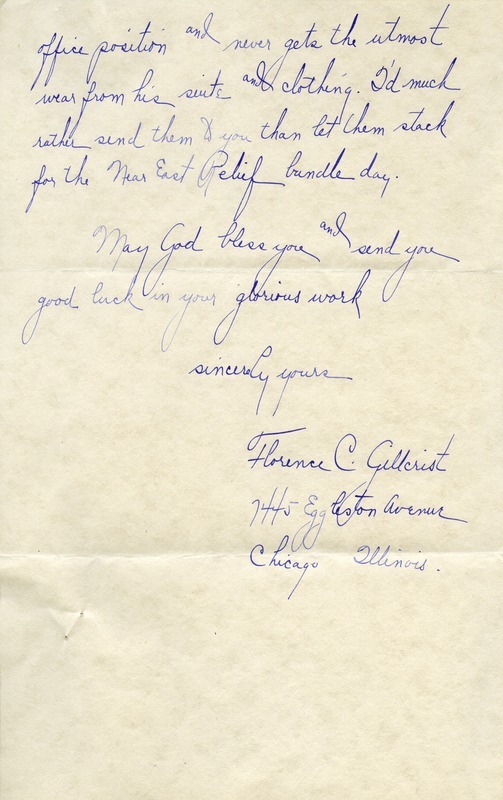 Florence Gillicrest, “Letter to Martha Berry from Florence Gillcrest.” Martha Berry Digital Archive. Eds. Schlitz, Stephanie A., et al. Mount Berry: Berry College, 2012. accessed April 18, 2019, https://mbda.berry.edu/items/show/7586.